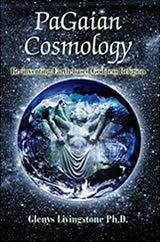 In keeping with the movement and theme of the book PaGaian Cosmology, it is published here – freely available – with a Creative Commons license. It is offered by Glenys Livingstone, the author, as a resource and to inspire further Creativity – more expressions for the Sacred Cosmos. You are invited to read the book here (though you may also choose to buy it), and to tour the various sections and articles of this site. 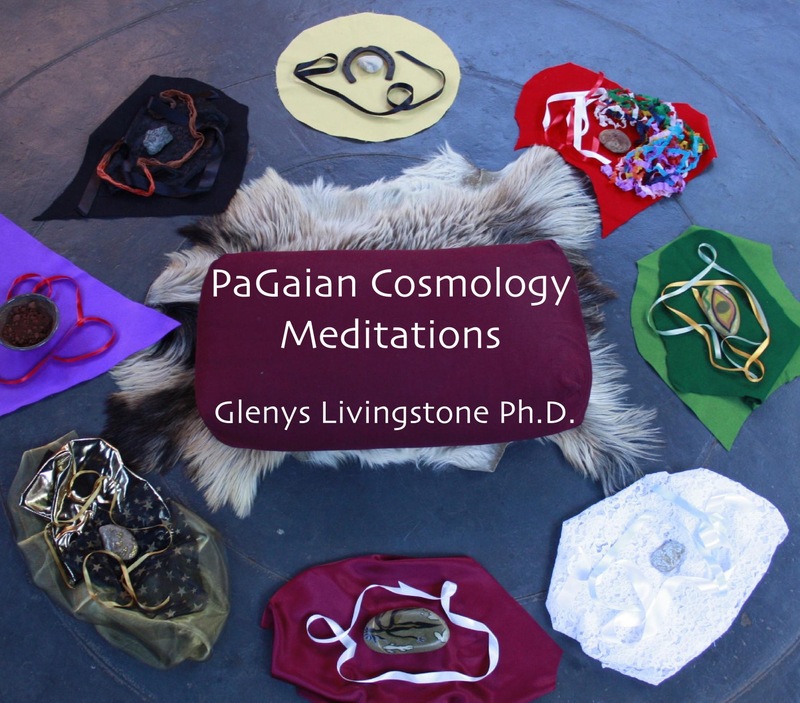 PaGaian Cosmology brings together a religious practice of seasonal ritual based in a contemporary scientific sense of the cosmos and female imagery for the Sacred. Glenys situates this original synthesis in her context of being female and white European transplanted to the Southern Hemisphere. The work grew from her sense of alienation from her place, which was personal, cultural and cosmic. This fires a commitment to a cosmology that re-stories Goddess metaphor of Virgin-Mother-Crone as a pattern of Creativity, which unfolds the cosmos, manifests in Earth’s life, and may be known intimately. PaGaian Cosmology is an ecospirituality grounded in indigenous Western religious celebration of the Earth-Sun annual cycle. By linking to story of the unfolding universe this practice can be deepened. 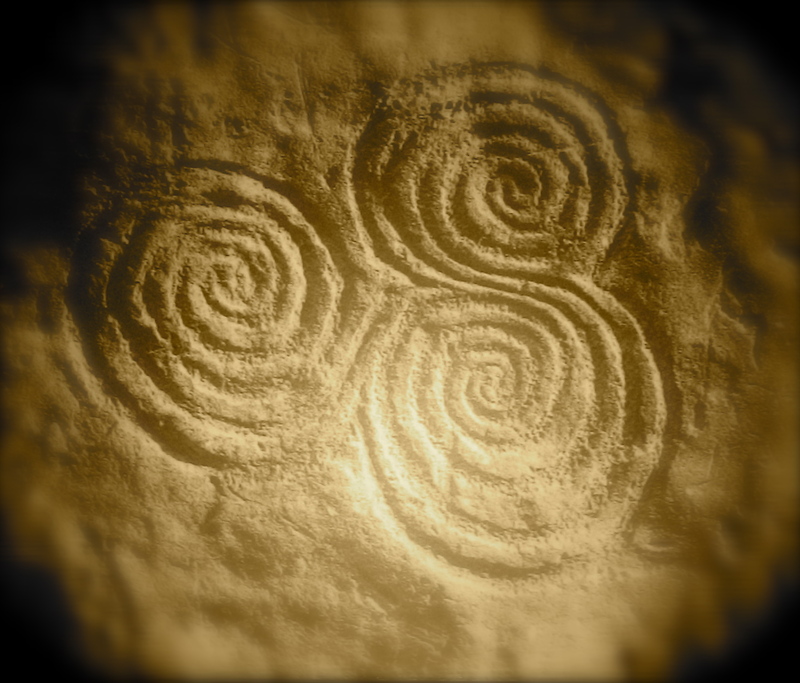 And a sense of the Triple Goddess – central to the cycle and known in ancient cultures –may be developed as a dynamic innate to all being. The ritual scripts and the process of ritual events presented here, may be a journey into self-knowledge through personal, communal and ecological story: the self to be known is one that is integral with place. PaGaian Cosmology may be used as a resource for individuals or groups seeking new forms of devotional expression and an Earth-based pathway to wisdom within. Glenys Livingstone graduated with a Ph.D. in Social Ecology from the University of Western Sydney, Australia. Her action research and thesis in the study of female imagery for the Sacred – upon which this book is based – grew from inner and communal work over the period of nearly three decades. An Australian with country roots, teacher training, theological and social science studies, she has journeyed into life’s compost and found transformative power to return smiling. If you are in lands other than Australia, you may still buy a signed copy via PayPal but you need to contact Glenys directly, to get the cost – it’s just that postage is more, depending on where on Gaia you are exactly. For your signed copy please click below, or contact Glenys: and please let me know to whom you would like it signed. Within Australia: $30 plus $4.90 postage per set: please order each set individually for post purposes. International: $AUD30 plus $9.90 postage per set: please order each set individually for post purposes. Digital: $19.95 PLEASE NOTE: When purchasing digital tracks, you will need to click on “Return to Glenys Livingstone” in PayPal to access and download your tracks: it will not be automatic unless you do this. For access to the doctoral thesis by Glenys Livingstone upon which this book is based: see: The Female Metaphor – Virgin, Mother, Crone – of the Dynamic Cosmological Unfolding : Her Embodiment in Seasonal Ritual as a Catalyst for Personal and Cultural Change. I purchased the digital copy of the Meditations CD from my phone, but I am unable to download it there due to limited storage space. How can I access my purchase from my computer? Or can I cancel the purchase and try again from my computer? Unfortunately, I don’t see any option in PayPal to cancel the transaction.